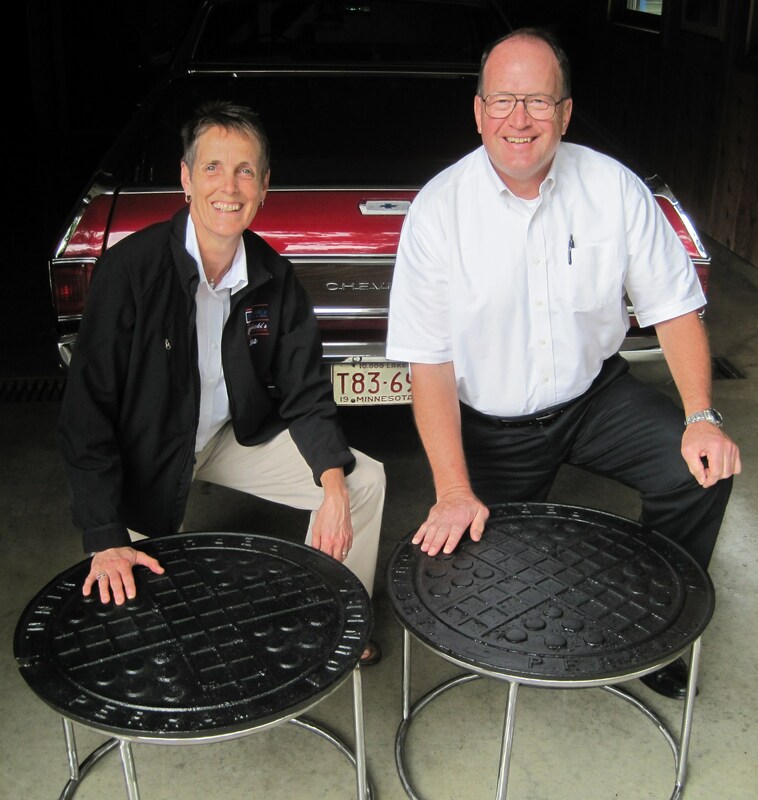 Jim Palubicki, owner of Palubicki Foods & Deli in Fosston Minnesota, commissioned table frames to be hand forged for a pair of “Antique” non-standard, Manhole covers. 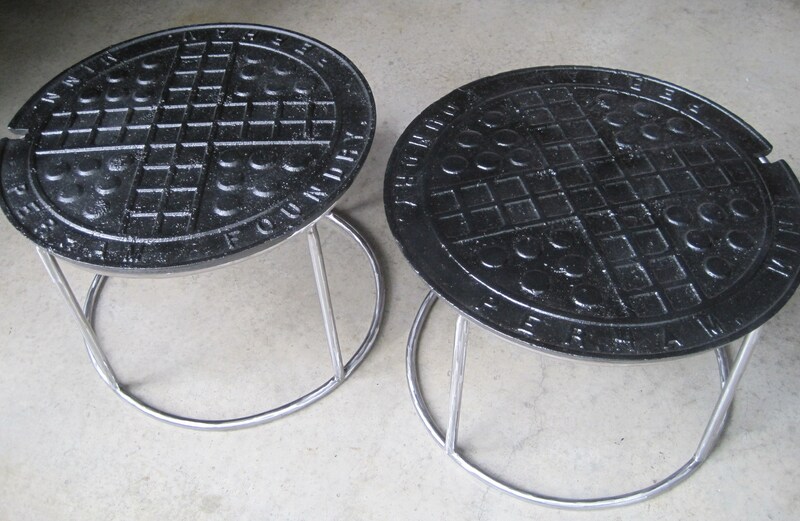 The manhole covers were originally made at the steel foundry in his home town of Perham Minnesota. I’m a Science Fiction fan and have always loved the ALIEN movies. I was inspired by the ALIEN Creature from the films and hand forged this “off world” Alien Bottle Opener. It will definitely draw some looks when you open up your favorite beverage with this functional Alien sculpture. Contact me at olsonironworks@yahoo.com if you see something here you like or have an “ALIEN” idea of your own.